Mint & Lolly is a candy-inspired collection full of fashionable, trend-driven jewelry. A family-run business, founded by sisters Lesley, Megan and Katie Novack had a passion for jewelry ever since they discovered their grandmother's jewelry box. Growing up in Florida, the dynamic trio spent the majority of their time dressing up and playing their favorite childhood games, like Candyland®. The sisters' childhood memories of board games and vintage pieces ultimately became the initial inspiration behind the jewelry brand. Nowadays, the Novack sisters live between Los Angeles and New York City. Like many sisters, each one possesses a unique style and personality. Since building their brand from a collection of candy-inspired pieces, Mint & Lolly is also based off of each sister's individual style. Lesley is traditional and conservative, Meghan has a bohemian edge and Katie has an urban streetwear aesthetic. With an assortment of vibrant necklaces, earrings, bracelets and rings, Mint & Lolly is full of bright hues and bold trends. The sisters also wear their pieces before they become part of the collection to ensure they last through all fashion trends and seasons. Cherry On Top: Each purchase comes with a "Free Dessert" hand-selected by one or all the sisters! 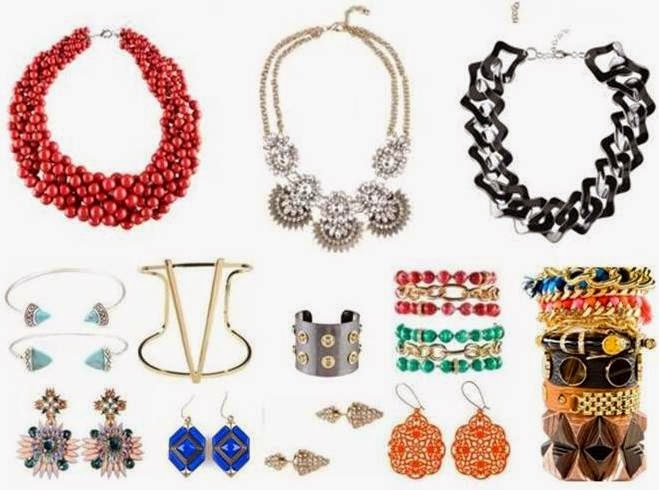 With the ability to offer affordable, trendy pieces, Mint & Lolly is the quintessential jewelry brand for the woman who is fashionable and demands attention from any crowd (www.mintandlolly.com; $5.99 - $59.99). You may want to also view our Mint & Lolly bracelet blog post from last week.